Migliaccio & Rathod LLP is currently investigating Bethesda Game Studios for releasing a heavily-glitched game, Fallout 76, and refusing to issue refunds for PC purchasers of the game who found it to be unplayable because of its technical problems. 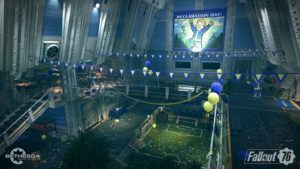 While minor bugs and glitches are expected with the release of most new games, Fallout 76 launched with a 56GB patch that has proven to be but a starting point for the game’s problems. Gamers who have tried to receive a refund because of the game’s myriad glitches have been unable to do so since they downloaded the game, leaving them to deal with an unplayable experience until patches bring it back to a playable state. Have You Tried to Receive a Refund from Your Fallout 76 Purchase? If so, please complete our confidential, online questionnaire so that we may evaluate your potential claim(s). If you would like to contact us, please fill out the contact form on this page, send an email to info@classlawdc.com, or call us at (202) 470-3520. We have received feedback from multiple owners of Fallout 76 who purchased the Power Armor Edition, a $200 collector’s edition of the game that was advertised to include a canvas bag. Upon delivery, purchasers found the bag to be made of nylon, contrary to Bethesda’s representation of the material and contrary to purchaser’s expectation of the product. Fans who reached out to Bethesda received an explanation saying: “Due to the availability of materials, we had to switch to a nylon carrying case in the Fallout 76: Power Armor Edition.” There are multiple Reddit threads detailing fans’ dissatisfaction with the set, and the Amazon page for the product still lists the included bag as made out of canvas. This is a classic bait-and-switch. Did You Purchase the Fallout 76 Power Armor Edition and Receive a Nylon Bag? The lawyers at Migliaccio & Rathod LLP have years of experience in class action litigation against large corporations, including in cases involving unfair and deceptive trade practices. More information about our current cases and investigations is available on our blog.